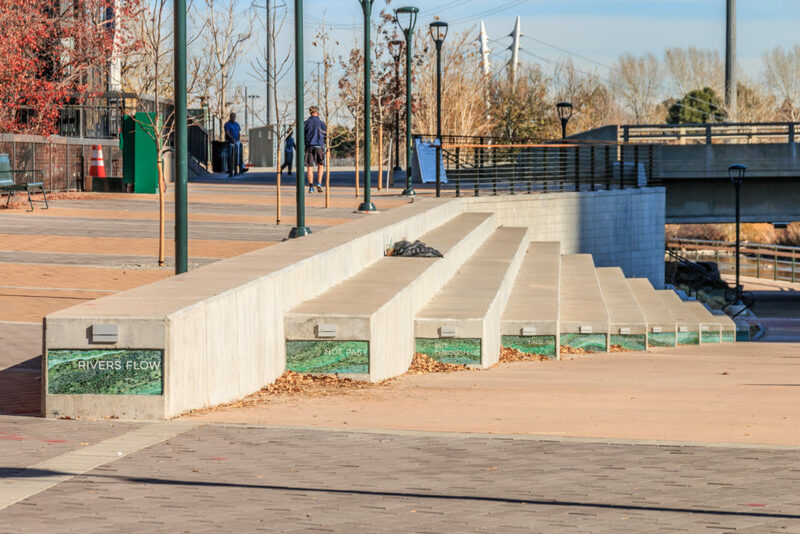 The main improvement needed to the Shoemaker Plaza was the ADA access, which consisted of long, sloping, zigzag concrete ramps to the plaza which were difficult to navigate in a wheelchair. 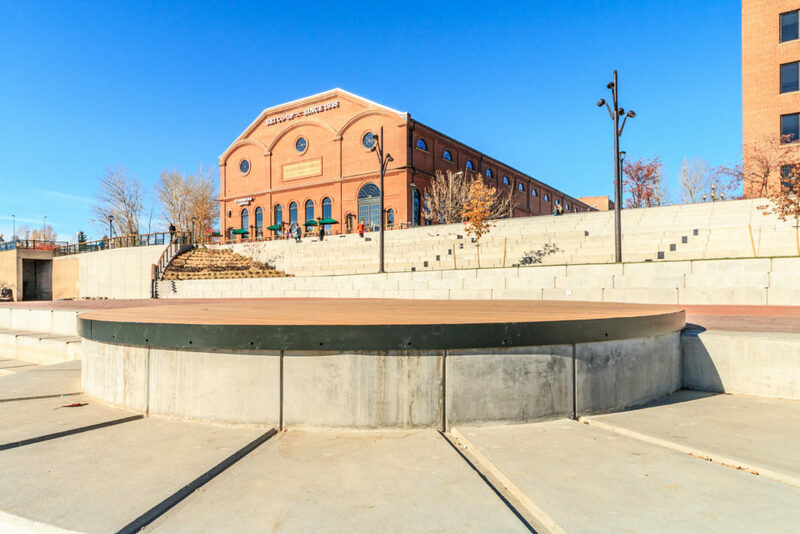 The area was secured and dewatered with sheet piling, and demolition of the plaza and ramps was completed. 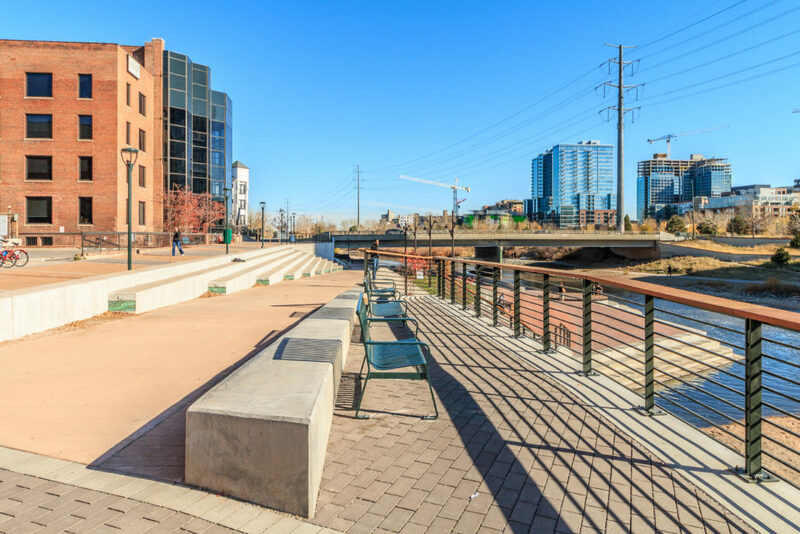 During the shore work, buried coal tar was discovered. 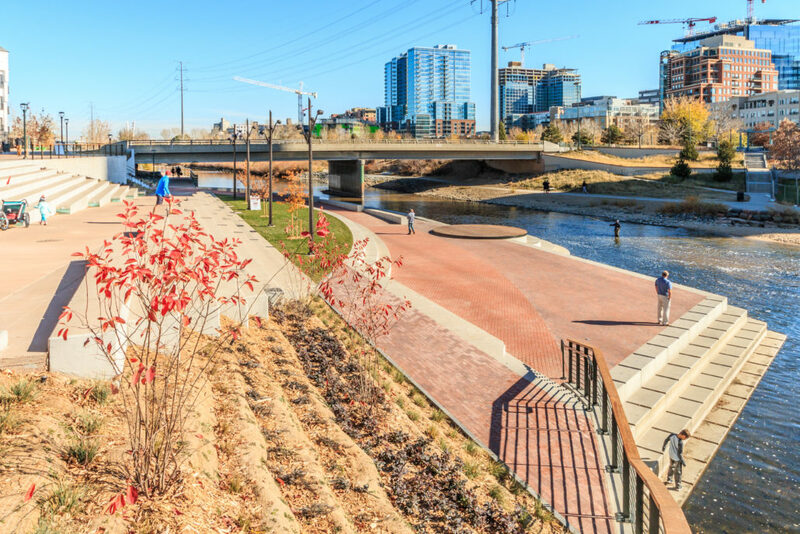 Given this unforeseen condition, City and County of Denver was not prepared to cover the cost of clean up, and needed time to develop a plan for mitigation. 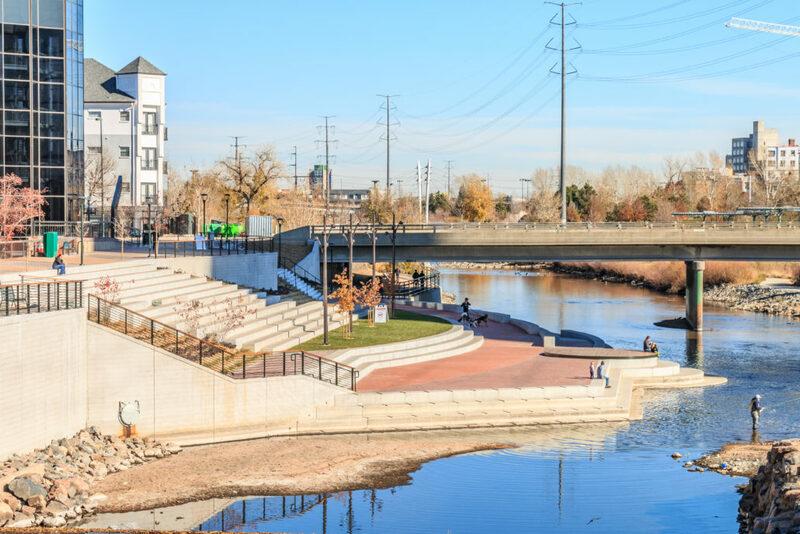 Construction was halted for 1 year while the sheet piles remained in place to protect the shoreline from further erosion and water removed from the river for dewatering purposes was treated and filtered before returning to the river. 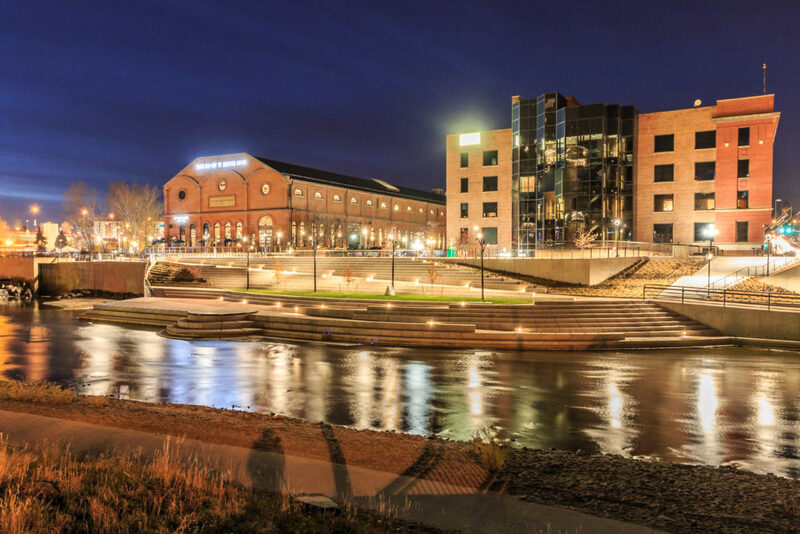 Once the new plan and funds were in place, ECI re-mobilized with our first priority to be the safe removal of the contaminated soils. 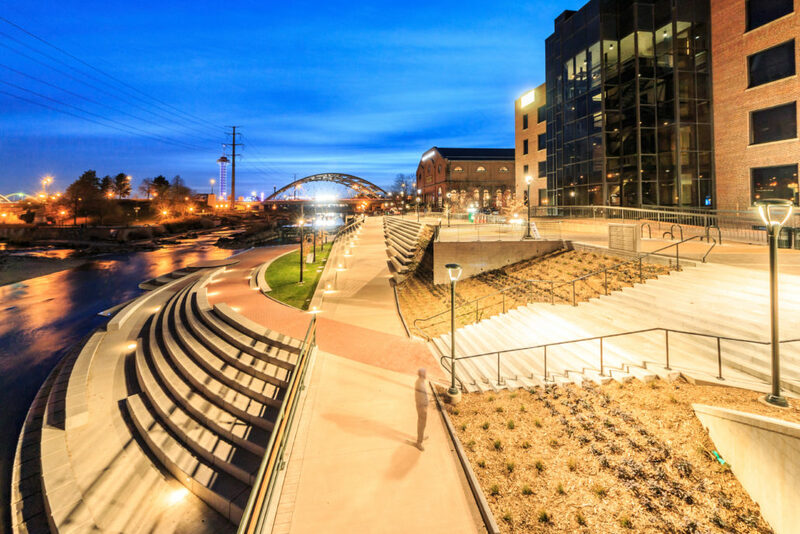 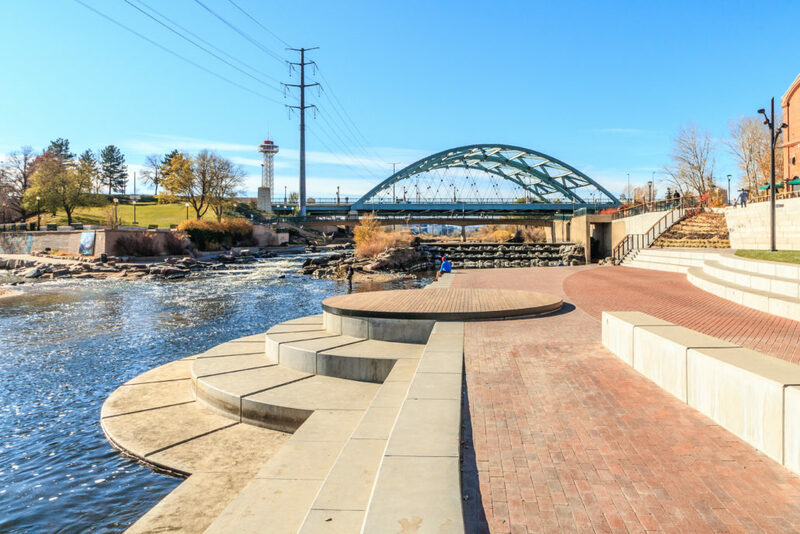 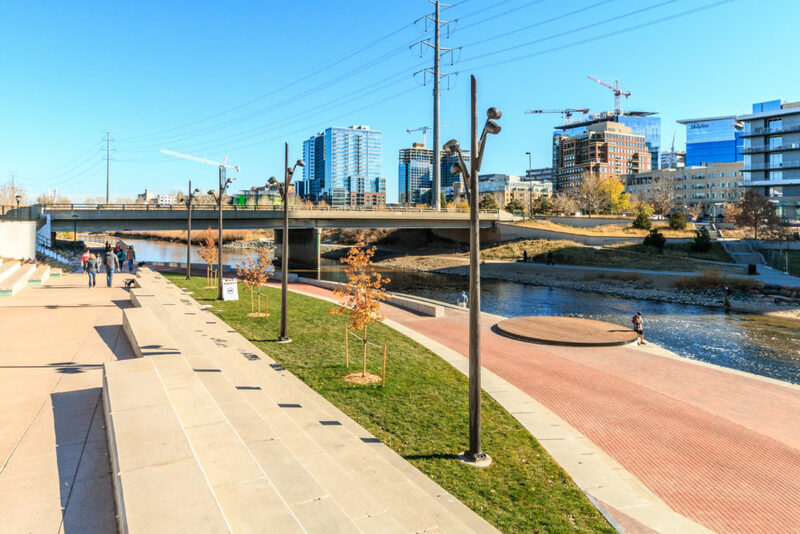 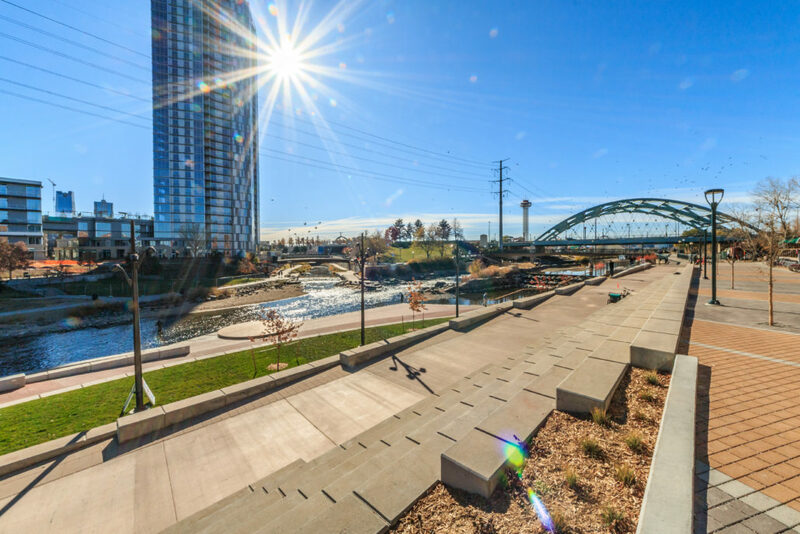 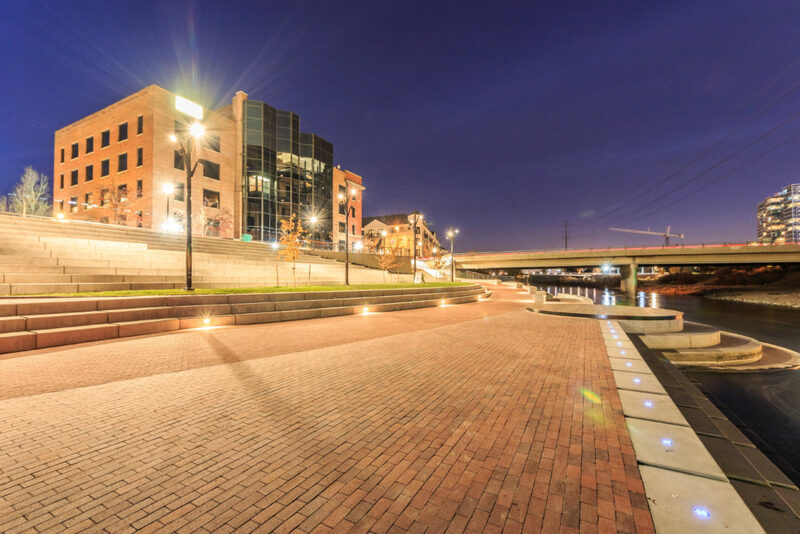 Along with the original plan to update the ramps and the plaza providing safe river access, new landscaping and lighting completes the improvements.